CWC Electric, LLC is a fully licensed and insured Electrical Contractor who provides quality, professional commercial electrical contracting services to Topeka, Lawrence and surrounding northeast Kansas counties. CWC Electric, LLC has the knowledge and experience to complete both large and small electrical commercial projects. Our commercial clients receive personal and professional care that focuses on minimizing downtime through efficient and thorough work. Our team includes multiple master electricians who can quickly and accurately access your electrical needs. We specialize in problem solving and value engineering to save your business money. 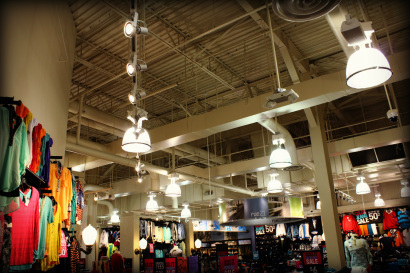 We specialize in all types of energy efficient lighting systems including LED & Induction. CWC Electric, LLC is committed to providing value and quality to our customers through communication, effective project management and highly qualified personnel. Please contact us by telephone at 785-215-8775 for more information or feel free to complete the contact form located below. We may also be contacted by email at chuck@cwcelectric.com.